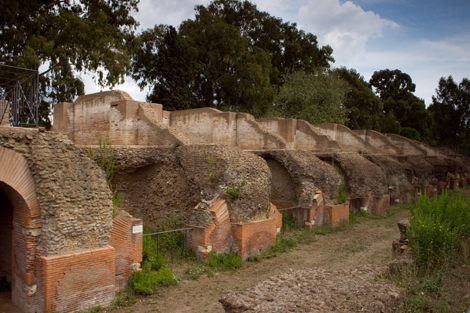 The Grandi Magazzini di Settimio Severo was a large L-shaped, brick-faced, concrete structure situated immediately to the left of the entrance to the hexagonal basin. 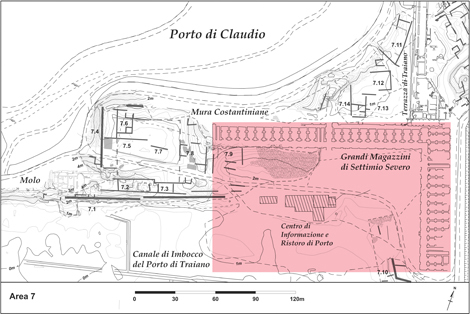 Its two wings of rooms, each two storeys high, faced onto an open area which fronted the canal leading to the Trajanic basin. The building had been identified as a Severan period warehouse (horreum) but a later study of the brickstamps indicated an earlier Antonine date for the structure. 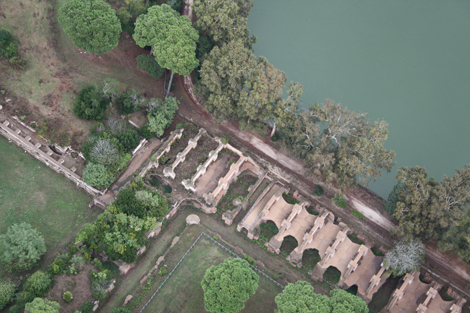 Sometime after its construction, a vaulted passageway was built on its northeast corner connecting it to the northwest corner of the Palazzo Imperiale.